MARQUETTE — The Northern Michigan University basketball teams are looking for different things right now. The Wildcat men (12-8, 7-6 GLIAC) seek consistency. After notching three straight wins at home, the Wildcats lost in overtime at Wisconsin-Parkside before bouncing back with a victory at Purdue Northwest last week. 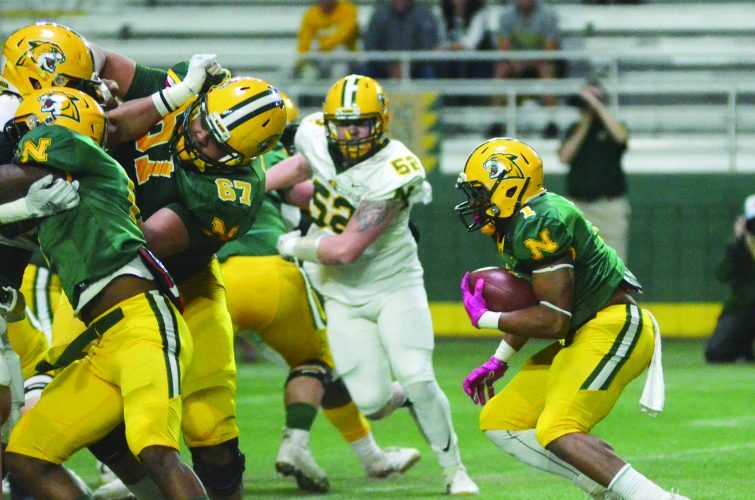 NMU head coach Bill Sall said that the loss to Parkside was tough to take and that the victory over Northwest was enough to get back on track, but that his team needs to play better if they want to keep pace in the GLIAC North Division. “It’s one that keeps you awake for a couple of days,” he said about the loss to the UWP. “I thought we played incredibly hard. I thought we defended as well as we could have. Man, five to six missed offensive opportunities, especially down the stretch where we got the ball to the player that we wanted to get the ball to. “We got a great look and unfortunately, we missed all five of them, including a game-winner. Naba (Echols), we called his number and he had a 15-foot shot that he makes 9 out of 10 times at least, and that would’ve just been a walk-off. “Let’s clear the building and let’s go home. Unfortunately for us, we missed it. You always preach effort first, and effort and defense have been our staple. We did a great job in the game of doing those things and it was just a heartbreaker to lose. “I thought we were good enough,” he said about the win over PNW. “It’s sometimes really difficult when you play a team that we really manhandled at home and then to convince your guys that this team has improved. On the other hand, the Northern women (15-6, 10-3) are looking for improvement. The Wildcats were on a four-game winning streak in January, but fell to Tech at home and then lost to Parkside, a team they blew out earlier in the season. NMU rebounded against Purdue Northwest, but managed only 44 points in the victory. So head coach Troy Mattson isn’t happy with how his team in playing right now. “I told you last week I was concerned about the Parkside game because we were dealing with seniors and juniors that have played against the best teams in the country in the other league,” he said. “They played well, but this is more on us. We’re not playing well right now, let’s just be honest. We’re back to this toughness issue. Both teams have an opportunity to achieve their goals this week as each faces struggling Saginaw Valley State squads today. The SVSU women (4-16, 4-9 GLIAC) had lost six in a row before beating Lake Superior State last week. “We played well down there in the second quarter where we held them to zero baskets and we put up some pretty good numbers in that quarter to give ourselves a nice lead,” Mattson said. “If we come out and we want to be a tough team, we’ll give them problems. If we want to continue to play the way we’ve been playing, we’re going to have problems. The men’s game against SVSU (7-14, 3-10) also looks on paper to be a cakewalk for the Wildcats, but to do that in reality, NMU will have to control the Cardinals’ backcourt tandem of Myles Belyeu and Darnell Hoskins Jr. 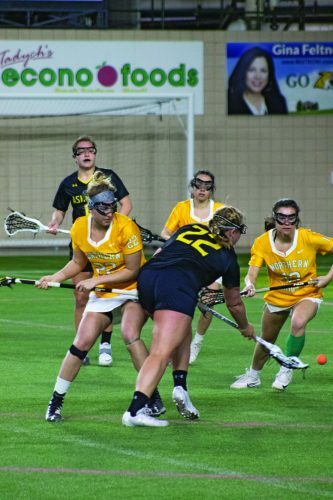 Things will get a little tougher against Northwood on Saturday as the Timberwolves (10-11, 7-6) surprised the Wildcats back in November, handing them their first loss of the season. 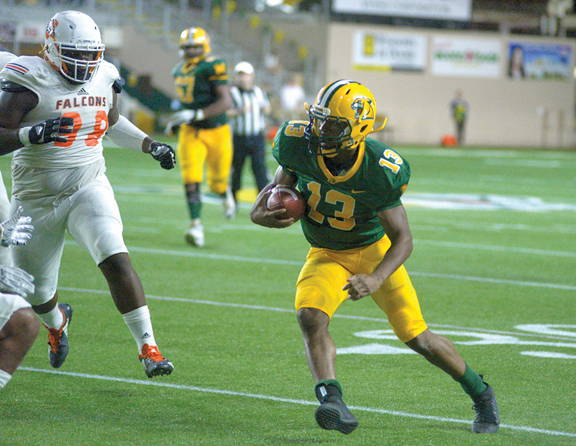 “Saginaw is a very dangerous team because they have two players that can score 30 on any given night,” Sall said. “So we’ve got to make sure that we do a great job of containing Hoskins and Belyeu. “Northwood is playing as well as anybody in the conference right now. They just came off two huge wins (over Lake Superior State and Ferris State). In this league, this year is crazy. “Going into this past week in the conference, you kind of think Ashland, who is ranked in the country, has got the handle and is ready to go and they end up losing two games at home.